Corporate Event at the Hyatt Harborside. What a great event we had at the Hyatt Harborside, with the partnership of one of the best DMCs in the Country. 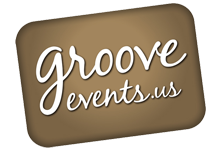 Groove Events proudly provided Entertainment and Decor; Lanterns, String Lights and Uplighting inside and outside of the tent. Zack & Tommy on setting up and lighting tech, see the last photo on the gallery.